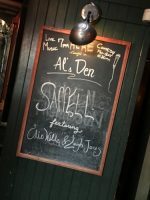 What a fun surprise it was to meet Saffell at McMenamin’s Al’s Den this week! 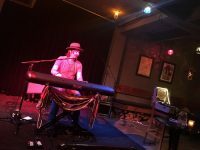 An unusual, but perfect choice for the intimate venue, Saffell writes and performs with a keyboard rather than a guitar or mandolin. The warm sound, a mixture of jazz, soul, r&b, and alternative music genres – truly appealing in the space, drew people in to hum along, ask questions, and enjoy a personal experience with the friendly musician. 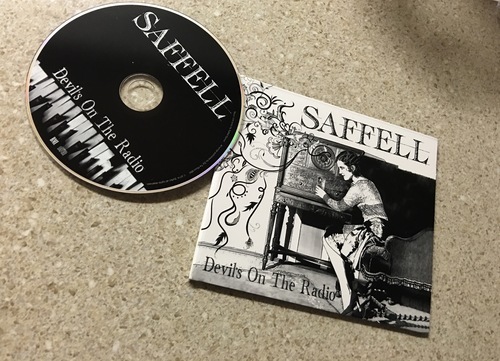 Saffell has been continually writing music since a piano accidentally came his way when he was just a boy. He bonded with the instrument, and looks completely natural sitting behind the keys. 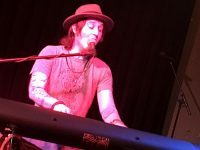 He is visibly thrilled to see the connection with the audience, telling stories of the song inspirations and sharing why the stories have been important as a part of his emotional musical development. He gives credit to many artists for guiding him along his journey, including Led Zeppelin, Elton John, Beck, and Nirvana. Perhaps my favorite moment of the show was when Saffell introduced the song “We the Blind.” The song speaks about environmental responsibility – in order to avoid sounding judgmental, Saffell explained that the message is to himself as well – “WE” the blind, not “YOU” the blind…just one of many moments in which the audience realizes that Saffell is considerate of their feelings. 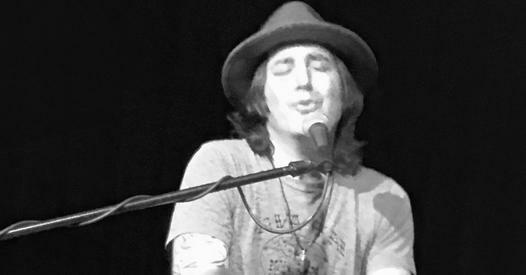 Please enjoy this enlightening interview with a truly expressive and thoughtful singer-songwriter. Learn his musical influences, and take a listen to his current album, Devil’s on the Radio. 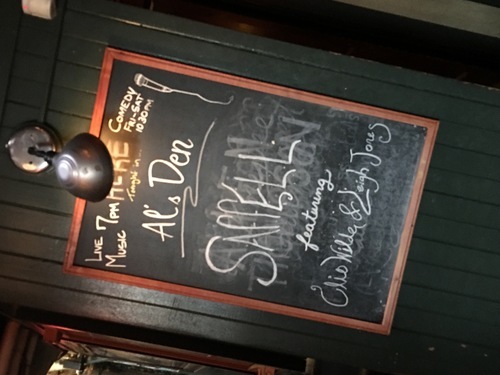 The best news of all is that Safell will be at Al’s Den through Saturday May 14 for 7-10PM free residency shows with guest artists. You’ll love it! Previous PostGenre Genius – Logger’s Daughter Release Show with Katelyn Convery: Friday 5/13Next PostThe Pining Hearts at Twilight Cafe May 26. Get your Groove on!